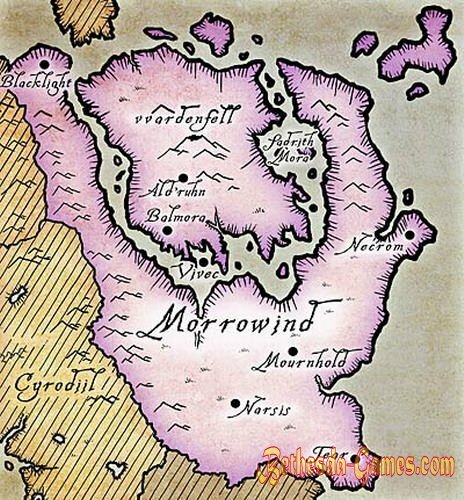 The game takes place on Vvardenfell, volcanic island in the province of Morrowind Dunmer owned and located in the northeast of the empire of Tamriel. The storyline is devoted to the deity Dagoth Ur, which is trying to gain power and release Morrowind from the power of the Empire. In Morrowind free gameplay, the player's attention is not emphasized in the main quest. This decision has received mixed reviews gaming press, but the critics appreciated the extensive and detailed world of the game. 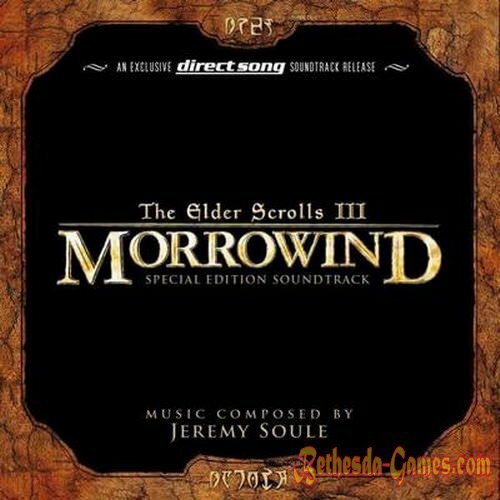 The main character - a prisoner, born under a certain sign of unknown parents - refer to the province of Morrowind, to the island of Vvardenfell, where he received a freedom and a packet to be transmitted to one of the residents of the city Balmora, Kai Kosadesu. This completes the mandatory part meynkvesta - the player is free to do with the package and instruction as you like. The storyline is cut off by killing some of the key characters. The ending of the storyline becomes murder antagonist Dagoth Ur, and then the game can continue. In the case of performing the first task the player is given the opportunity to enroll in the Order of Blades. Its curator, head of the order, instructs him to learn more about the awakening of the Sixth House, and the prophecies of Nerevarine. Performing the task, the player learns that he may be Nerevarine, the epitome of ancient Dunmer hero. Fulfilling some of the prophecies about the Nerevarine, the player with the support of Viveka or killing him, receives the necessary killing Dagoth Ur artifacts. Infiltrating the citadel Dagoth Ur, it destroys the heart of Lorkhan - a source of strength Dagoth Ur and the gods of the Tribunal and kill Dagoth, and then receives an award from the goddess of Azura. Each of them is available when entering the game player in the organization. Quests each line less connected thematically with each other than setting the storyline, they can perform in a relatively free order (their availability is limited rank player in the organization). Their number in most organizations is redundant for the title of the head of an organization that is the final passage of almost all lines (except quests vampire clans). Some quests and guilds can get done without entering the appropriate organization. Doing some quests of different organizations are mutually exclusive, such as entry into a Great House Dunmer preclude entry into the other, and the execution of some quests for the Fighters Guild makes it impossible to join the Thieves' Guild. Are mostly short, not usually associated with the other side quests, tasks, although in the main quest there are links to the side (eg search Hassura son Zaynsubani in Ald'runskoy tavern Ald Skar). Their completion leads to reward the player one way or another: the presentation of the subject of money, increasing his skills, and so on. N. In the official localization TES3 broken passage only side quest, limited floor character - a relatively long storyline of the assignment hadzhitki Anassa ( corrected GFM-mod).